Searching for a new home can be very exciting, but it can also lead to a lot of questions. What is the ideal price range? What are the schools like? What is the difference between new and resale? Neighborhood – The neighborhood you select for your new home can determine the size, price, and quality of your future home. More importantly, the neighborhood will determine what kind of lifestyle you desire, and how much interaction you have with your neighbors. When selecting a neighborhood, consider driving through the area at night or on weekends, checking on neighborhood amenities, and talking to current residents. Are there trails and sidewalks where you can walk or ride your bike? Are there organized activities for residents? 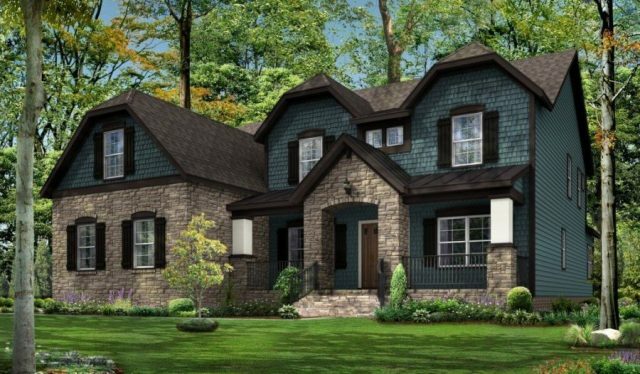 New Construction vs. Resale – Have you looked at homes and thought, “if only the master bedroom was on the first floor” or “I wish this layout was more modern?” With new construction, your home is designed to your specifications. New construction is more energy efficient and requires less maintenance – two important factors to consider. Having little maintenance and upkeep is especially important for today’s home buyers. If maintenance issues do arise with new construction, they may be covered under the home warranty that comes with new homes. Smart Investment – Buying a home is a long-term investment and you want to make sure that you see a return on that investment. It is important to ask what will the community you choose look like in five or ten years? Community amenities such as outdoor entertaining features, pools, walking trails or open green spaces increase the property value greatly. Additionally, selecting a home in a quality school district can help raise the resale value of your home. We believe it’s how you live that matters and helping you find your future home is important. HHHunt Communities combine the best locations, top area schools, and a community-centric way of life. 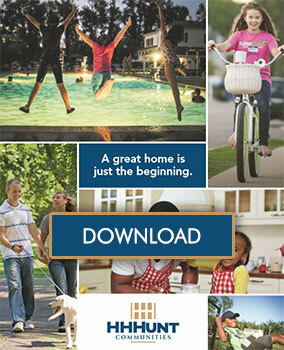 If you are looking for a home, see what HHHunt Communities has to offer. If you have recently searched for a new home, what factors did you consider? Let us know on our Facebook page.